Lenovo has officially launched 2 latest Z series notebooks along with an entry level IdeaPad 100 laptop for under 1100 dollars. These new machines run on the 64 bits version of Microsoft Windows 8.1 OS. They have Dolby DTS sound system, Bluetooth, HDMI port, WiFi and decent specifications. Lenovo has launched 6 models of Z41 and Z51 laptops and each device are priced within 600 to 1100 dollars. The z41 notebook supports 5th generation core I5, i7, and i3 processors. You can configure them with 1600 MHz 4GB or 8GB PC3 architecture based RAM modules. Z41-70 has a 14.0 inch LED anti-glare full high-definition display, Intel 5500 graphics chip, and 32 watts 4 cell battery. It supports AMD R7 GPU. Lenovo Z41 laptops with a dedicated VRAM + GPU are priced around 1000$. Lenovo Z51-70 employs a 15.6 inches screen which has been built with the same technology as the display of Z41-70. It supports dual-core 5th gen core i7 and i5 CPUs. It can be purchased with Intel or AMD R9 M375 graphics processor with up to 12GB RAM. The Intel GPU powered models of the Z51 laptop will cost you within 550 to 750 dollars. Core I7 processor configured variants are priced at 900 dollars and they have a hybrid 8GB SSD. 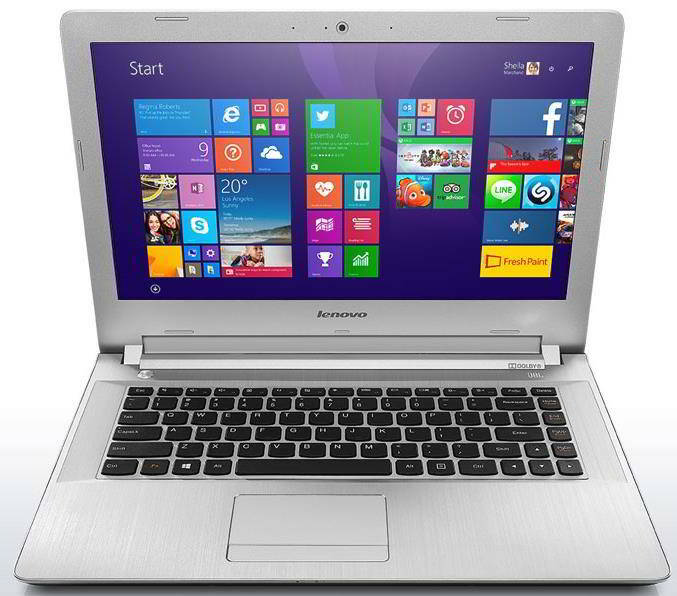 Lenovo Ideapad 100 has Baytrail Intel N3450 processor and its pricing starts from 250 dollars ( Rs 15000 onward). The processor is not as fast as Core i7 or i5, but don’t worry! You can add 8GB RAM to this notebook. Thus, Ideapad 100 is capable of running several Win 8.1 compatible software at a time. Unlike Z51 or Z41, this laptop supports up to 128GB SSD. But there’s just 500GB storage space available in it. This edition of Ideapad laptop doesn’t have a discrete graphics processor. Graphics content will be handled by Intel HD chipset. Ideapad 100 is 0.9 inches thin and it has a single 1.5 watts speaker. It will be sold with HD 14 or 15 inches display from June 2015 (next month) onward.